The new 2017 Yaris at Nalley Toyota Union City is in the Goldilocks zone, the car that is just right. 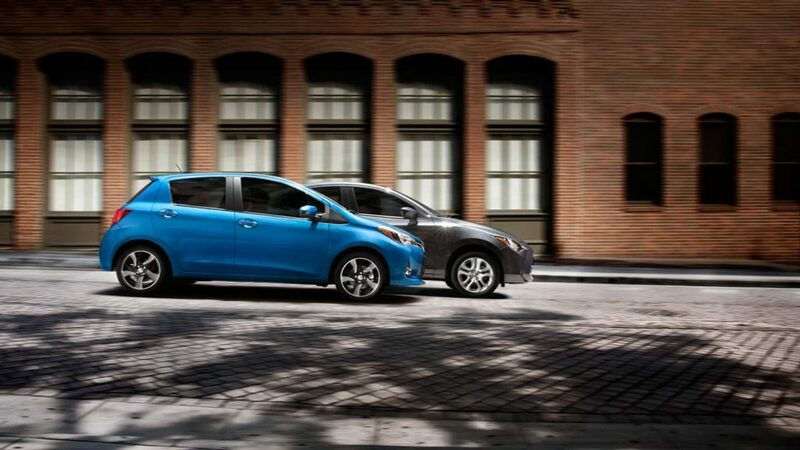 Offering style, versatility, and an incredible automotive value, the new 2017 Toyota Yaris is here to take some of the worry out of driving in Atlanta, Georgia. Toyota Yaris has always been about letting Atlanta, Georgia drivers be more independent, and it’s fun to drive as well. The innovative sport suspension on the SE combines with spirited handling to make every ride you take a great one, while available 16-inch alloy wheels look sleeker than ever with the extra attitude brought forth by a freshly restyled Yaris grille. Available projector-beam headlights brighten the evening, while available LED Daytime Running Lights (DRL) present a distinct look during the day, making every drive you take in Atlanta more fun than the last. All drivers in Atlanta, Georgia likes their space, but they also wants cargo options. With its rear liftback door, roomy cargo area and versatile 60/40 split fold-down rear seat, the new 2017 Yaris at Nalley Toyota Union City accommodates numerous types of items that you wouldn’t think could fit in a sub-compact car. 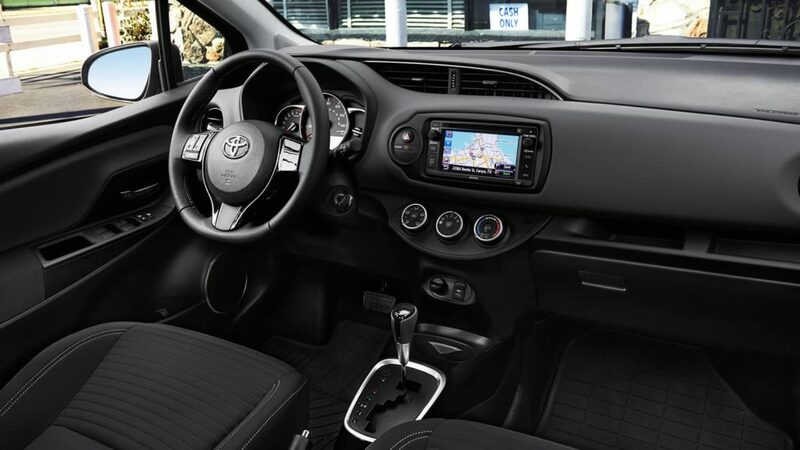 As adaptable as you need it to be, try not to look surprised when 2017 Toyota Yaris manages to fit your entire football card and comic book collection, and then some. The 60/40 split rear seat on the new 2017 Toyota Yaris makes it easy to configure the available space in order to make room for more cargo. Fold one seat down to get a little extra space, or fold both down for access to an even larger cargo area to work with. And when it comes to storage, you can find places littered through Yaris where you can store all of your items. You’ll find door pockets, a passenger-side footwell pocket and a center storage cubby to go along with a passenger-side glove compartment and a multitude of cup holders. 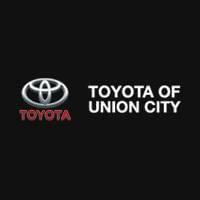 Nalley Toyota Union City serves customers from Atlanta, Fairburn, Palmetto, Riverdale, College Park, Union City and all of the surrounding communities, as we help them find the all-new Toyota Yaris that perfectly suits both their lifestyle and their budget. We take immense pride in the high level of service that our Georgia dealership is known for providing, and we work hard to ensure that every customer that walks through our doors leaves satisfied. When it’s time to purchase your new Avalon, visit 4115 Jonesboro Rd in Union City to speak with one of the friendly salespeople at Nalley Toyota Union City, near Atlanta, Georgia.